Tottenham Ploughman Winterfest at Bruce Castle. Bread, cheese and beer and stuff. 12noon to 5pm and it’s not raining. Not quite within the SoTo boundary but an easy bus ride away. 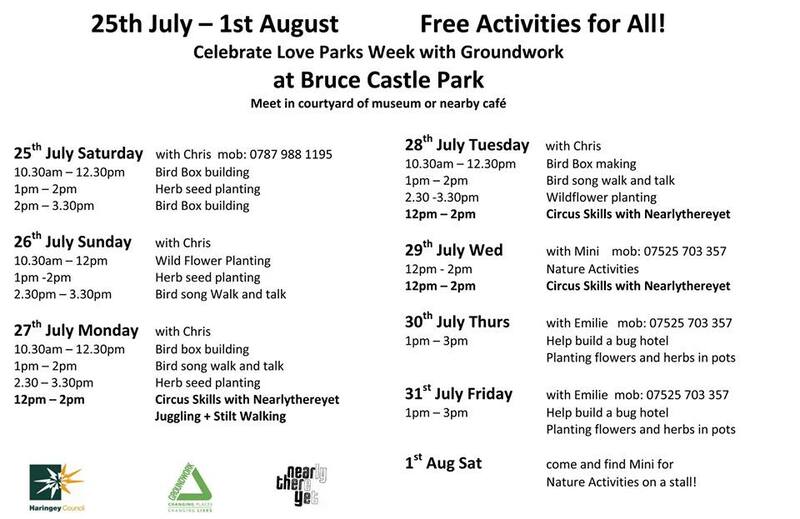 In addition – as it is Love Parks Week – check out the free family activities that are being provided by Groundwork in Bruce Castle Park – see above. Join Margaret Scholes, of the London Parks and Gardens Trust, as she shares her research of Alexandra Park (the grounds of Alexandra Palace) and its changing landscape during the 1914-1918 war. Doors open for refreshments at 7pm. 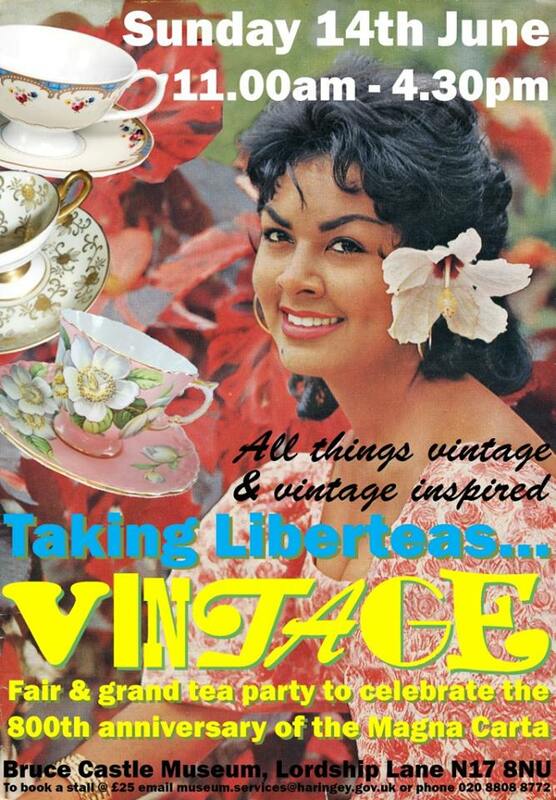 This vintage fair at the wonderful Bruce Castle Museum salutes the 800th Anniversary of the signing of the Magna Carta. Tea will be served outside on the lawn and the London Screen Archives will be bringing back their Kino Van. This mobile cinema will be showing vintage films, news-clips and home-movies from 12.30pm – 3.30pm. 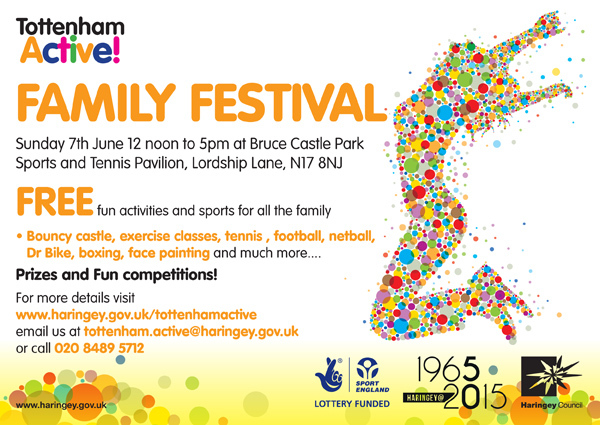 Next Sunday the 7th June from 12 noon to 5pm we are having the Tottenham Active Free Family Festival in Bruce Castle Park. The festival is promoting physical activity and sport and there will be lots of fun, interactive activities available for all the family. The festival will be located at and around the tennis courts and old Bowling Green/Pavilion in Bruce Castle Park. Music, face painting, Bouncy Castle also feature. Five mile walk going through parks and conservation areas.